Members of the Concern emergency response team at Hakim Para refugee camp for Rohingya people in Bangladesh. Concern, Ireland’s largest humanitarian aid agency, has been serving the poorest of the poor for 50 years. Ed Kenney Jr. and Kieran McConville, both of whom work for Concern, explore the organization’s history. 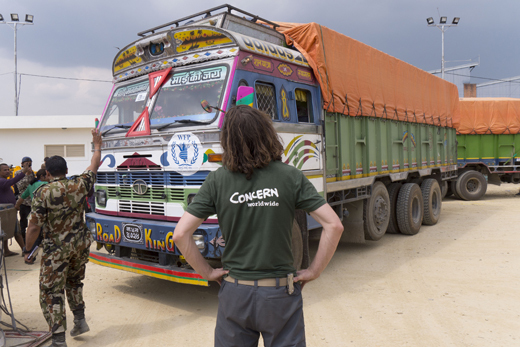 It’s the story of Concern Worldwide, one of the world’s most respected international humanitarian and development organizations, which last year worked in 26 countries, helping 22 million people. Concern’s reach is global, but its Irish roots are strong. In 1967, the province of Biafra attempted to secede from Nigeria. The Nigerian army responded with unmerciful force, displacing millions of people who became further isolated by the government’s blockade of food, medicine, and basic necessities. In 1968, famine followed. Images of starving, skeletal children flashed across televisions and newspaper front pages worldwide, and in Ireland, it touched on the deep scars of the starvations of the 1840s. A small group of people, alarmed by the sheer human suffering, got together in the home of John and Kay O’Loughlin Kennedy, a young economist and insurance underwriter, who opened their Dublin townhouse on Northumberland Road to those like them who wanted to do something. Without any clear idea of what could be done, the assembled group decided to call themselves Africa Concern. Within weeks, they launched a first-of-its-kind fundraising campaign. The Irish people responded in force. In less than one year, the equivalent of more than $6 million, roughly $2 for every person in the Irish Republic, was raised. As the money flowed in, the group enlisted experts to help engineer a solution for the delivery of life-saving relief supplies around the blockade. First, they secured a boat – the Columcille – that would be loaded with food and medical items, and sailed to the island of Sao Tome, off West Africa. From there, they relayed the goods via a constant flow of bold, nighttime airlifts. Áine Fay, Phelim Murnion, Aengus Finucane, and Jack Finucane with Concern Ethiopia staff in 1989. Africa Concern’s partner, the cross-denominational Joint Church Aid founded by Fr. Tony Byrne, a Holy Ghost missionary priest, secured a small fleet of old cargo planes and a crew of daredevil pilots, who gave it the name “Jesus Christ Airline.” It was a rag tag corps motivated by their shared refusal to let millions die on their watch. Their collective response became known as the Biafran Airlift. In two years, they flew 5,314 missions from Sao Tome, carrying 60,000 tons of humanitarian aid as Nigerian anti-aircraft guns and fighter planes tried to bring them down. In all, 25 pilots were killed but millions of lives were saved. On the receiving end, manning a rudimentary airstrip hidden deep in the bush, were Byrne’s fellow priests, Aengus and Jack Finucane, brothers from County Limerick who did literally whatever it took, exhausting every logistical means to reach the people who needed aid the most. Aengus often boarded the flights himself, demanding efficient and speedy loading and delivery, regularly ferrying out the most seriously ill children on the return trip. His “19-stone rugby tackle” reputation derives from a legendary encounter with a thief who attempted to rob a Concern delivery truck. Aengus reacted like the star rugby player he had been in his youth. His relentlessness was otherwise non-violent, as he led by “conversation not confrontation,” with healthy doses of self-deprecation and humor. Meanwhile, Jack masterminded a vast and complex distribution network, which at its height was reaching roughly four million people a day with food and medical supplies. Africa Concern’s founders began to see a much broader vision as famine ended. Some two million had died, but clearly millions of lives were saved. Events in other parts of the world soon demanded urgent attention. A cyclone disaster in East Pakistan (now Bangladesh) and civil war and refugee problems in Calcutta (now Kolkata) became the next intervention. Over time, Africa Concern evolved into Concern Worldwide and its global identity was cemented through successive bold, practical, effective responses to major disasters in the succeeding decades: East Pakistan/Bangladesh in the early 1970s; famine in Ethiopia in 1973 and 1984; refugees along the Thailand-Cambodia border in the early 1980s; famine in Somalia in 1992; genocide, refugees, and cholera in Africa’s Great Lakes region in the mid-1990s; mass suffering in Sierra Leone and Liberia in the late 1990s; the mostly silent plight of millions in the Democratic Republic of the Congo in the early millennium through today; the 2010 Haiti earthquake; flooding in Pakistan and famine in Somalia in 2011; and the still raging, seemingly endless violence in Syria and South Sudan. 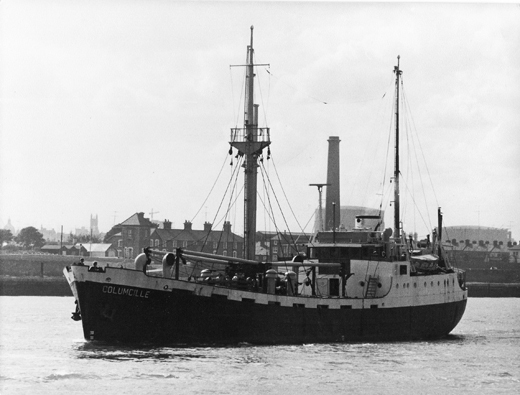 The Columcille leaving Dublin for Biafra, September 6th, 1968. A telling case study unfolded in the crowded slums and remote forests of West Africa during the Ebola crisis that exploded across the region beginning in 2014. Landing in Freetown, Sierra Leone, shortly before the outbreak was the new country director and Clare native, Fiona McLysaght. She had been there before as a young aid worker during the vicious civil war twenty years earlier. Soon, Ebola was killing people indiscriminately and at a frightening rate, threatening to tear apart the very fabric of society. “There were bodies literally being left in the street,” she recalls. McLysaght’s team had been focusing their work in education, agriculture, water, and sanitation. Ebola presented new, unimagined challenges. She decided they would pivot to managing and executing the most dangerous and potentially deadly work: safe removal and burial of the dead, whose bodies had become leading sources of infection. 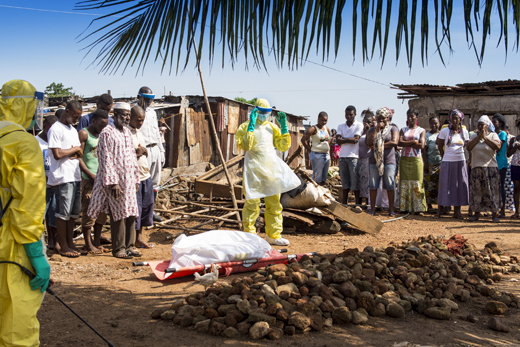 She quickly steered the team to the task of body removal and transport, whether or not they were confirmed Ebola deaths. They also provided safe and dignified burials for over 16,000 of the dead. As often as possible, the graves were marked to allow family members to mourn in dignity. The Ebola crisis ended in 2016. Concern remains, helping ensure lasting recovery, health, livelihoods, continued growth, and development. These mass disasters have punctuated Concern’s growth over nearly 50 years, but they have been matched by a commitment to responding to lesser-known, smaller-scale disasters and an ever-expanding breadth of comprehensive long-term development work. 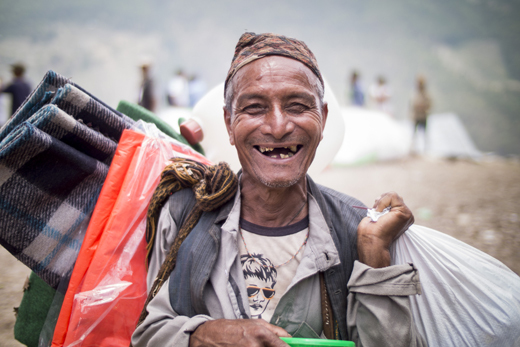 Long recognized as a disaster response leader, Concern has also gained recognition – from the grassroots to governments to peer organizations – as a transformational force in nutrition, maternal and child health, community empowerment, gender-based violence, climate-smart agriculture, and primary education. FATHER AENGUS, SIOBHAN WALSH, AND CONCERN U.S.
Aengus Finucane and Anne O’Mahony, a veteran Concern staffer and current international programs director. 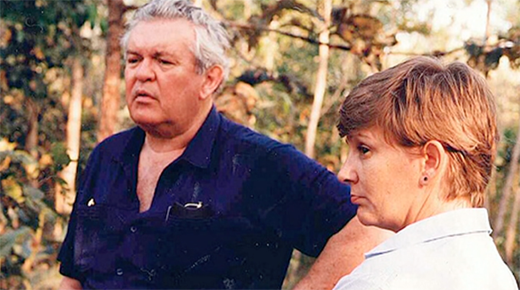 The Finucane brothers and former missionaries like them would be central to Concern’s early growth and future globalization. But they guarded its secular identity, as they themselves grew into dynamic, world-renowned, humanitarian leaders. 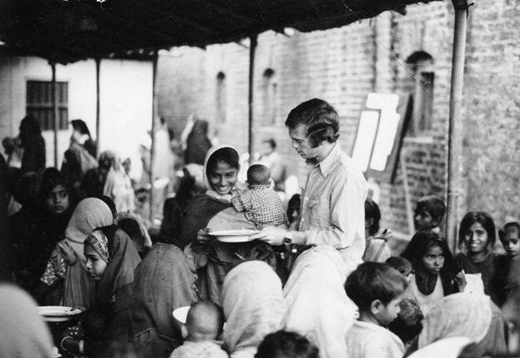 As director of many of Concern’s country programs over a 30-year career, Jack drove the professionalization of the organization, transforming a small organization of volunteers into a humanitarian force equipped with skilled agriculturalists, health specialists, educators, nutritionists, logisticians, and engineers. 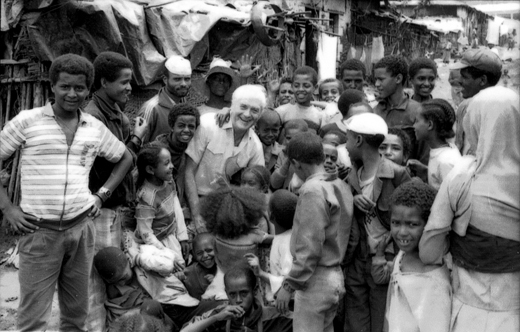 U2’s Bono credits Jack with his awakening to the scourge of global poverty on a trip to Ethiopia together in 1985 to witness famine and Concern’s response. “The John Wayne of humanitarian aid” moniker was affectionately coined by Bono in recognition of Jack’s quiet, steely resolve to get the job done no matter who or what stood in his way. Aengus, decidedly more charismatic, ascended from country director to chief executive of Concern in 1981, serving until his retirement in 1997. He was also instrumental in the establishment of a U.S. affiliate in the 1990s – Concern Worldwide U.S. – with fundraising and support offices in New York and Chicago. Siobhan Walsh, eventual executive director of Concern Worldwide U.S., joined Aengus in New York early on as the operation got off the ground. 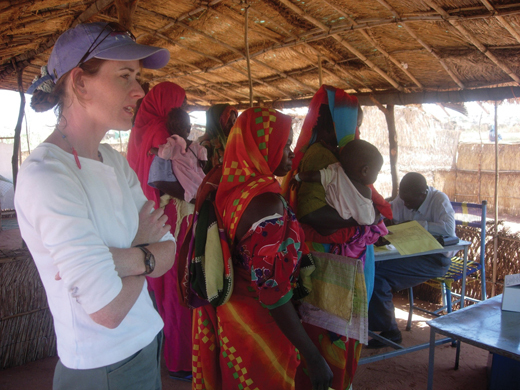 Siobhan Walsh in Darfur in 2004. Siobhan co-founded Concern U.S. with Fr. Aengus Finucane. Today, Concern Worldwide U.S. has a staff of 50 in New York City and Chicago, supporting the mission and global efforts of Concern Worldwide by raising funds and providing technical and program support, advocacy, and public engagement. Now annually generating nearly $40 million through a mix of individual donations large and small, foundation funding, and U.S. government grants, Concern Worldwide U.S. has been a sustaining force and has helped engineer groundbreaking programs in countries like Bangladesh, Ethiopia, Rwanda, Malawi, Pakistan, and others, driving innovations especially in nutrition, maternal child health, and emergency response. Its growth has been powered by loyal, close-knit communities of donors, first in New York and Chicago, drawn in by the relentless charm and humanitarian authenticity of Fr. Aengus and Siobhan. Mutual of America chairman and CEO, Tom Moran, experienced the Finucane/Walsh strategy firsthand. After the tragic and premature death of Concern’s first U.S. chair, legendary public relations executive, John Scanlon, Fr. Aengus and Siobhan approached Moran to take up the mantle. “Being double-teamed by the two of them, I couldn’t say ‘no.’ Of course, I still would not have agreed without [fellow Mutual of America executive and Concern U.S. board member] Ed Kenney, who assured me that together we could make it happen. 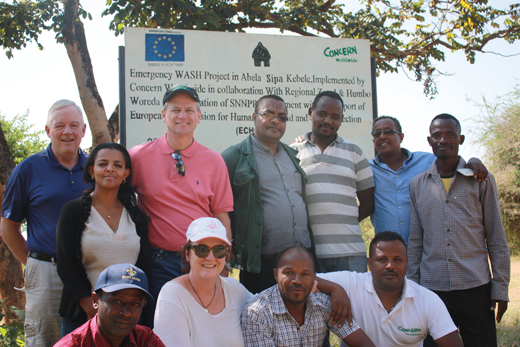 John Greed, chairman and CEO of Mutual of America, Ed Kenney Sr. of Mutual of America, and Concern U.S. CEO Colleen Kelly in Ethiopia, December 2017. In recent years, a number of Concern’s founders have passed on. Aengus Finucane died in 2009, Kay O’Loughlin Kennedy in 2016, and Jack Finucane in 2017. But the animating and relentless forces that emerged from that Dublin townhouse in 1968 are as powerful as ever – in Ireland, the U.S., the U.K., in a new fundraising office in South Korea, and across the developing world. 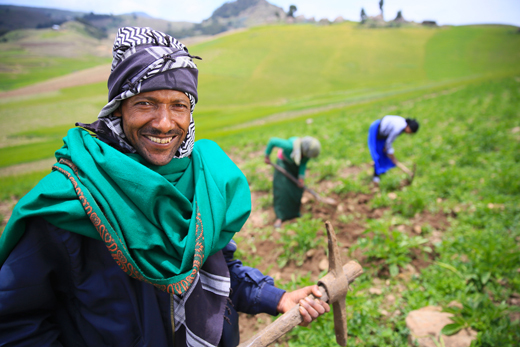 In all, over half a century, Concern has worked in more than 40 of the world’s most disadvantaged countries. Today, there are nearly 4,000 workers of some 50 different nationalities working in 26 countries. The percentage of Irish staff on the ground is now very small, reflecting Concern’s commitment to transfer its work to local hands. Still, the ethos and the essence of the organization have been formed from roots that are 100 percent guaranteed Irish. A Concern distribution of tarpaulins to displaced families in Katale, Masisi, Democratic Republic of the Congo. 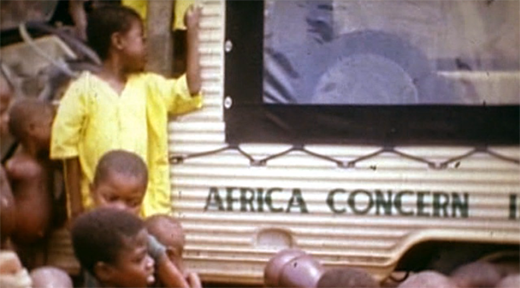 An Africa Concern van during the Biafran Airlift. 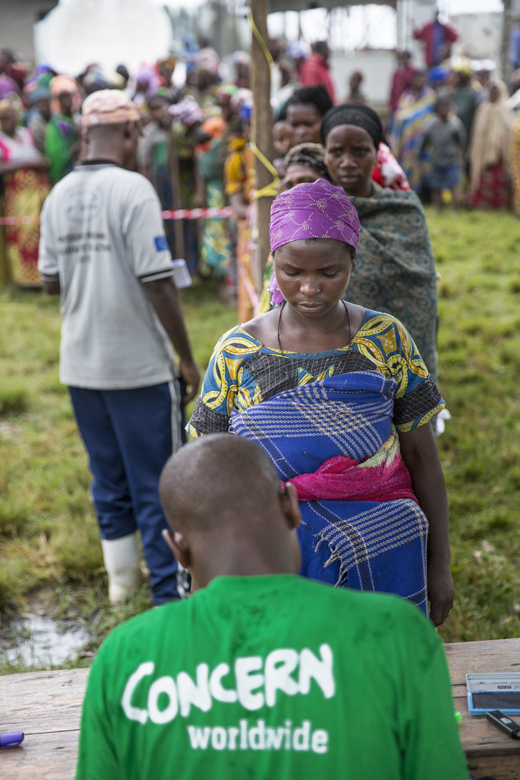 A tarpaulin distribution for displaced families in the north eastern Democratic Republic of the Congo. Family and friends pray over the body of Sulaiman Barrie (7), who died on the night of October 31st, 2014 at his home in Banana Water, Freetown, Sierra Leone. Ali Assen Ali, with two of his daughters, on their farm 12,000 feet up in the highlands of South Wollo, Ethiopia. Ali has been participating in a Concern-sponsored scheme which encourages farmers to look at alternative crops. After his third year he has more than tripled his output of potatoes, producing 6.1 tons last year. 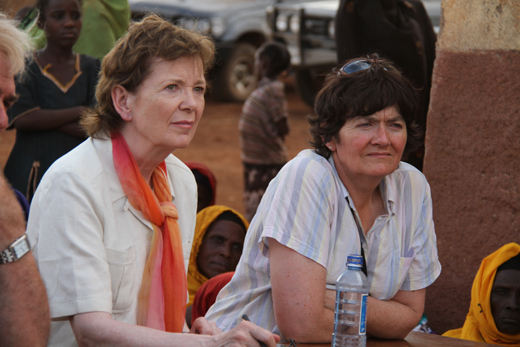 Former Irish president, Mary Robinson, with Concern’s Frances O’Keefe in northern Kenya, July 2011. 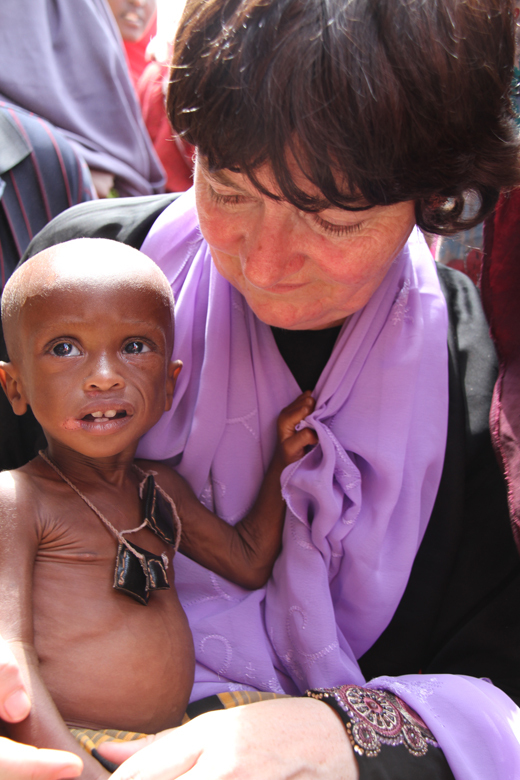 Frances O’Keeffe from County Limerick with a severely malnourished 11 month old boy at Dollow Ado camp in Ethiopia in 2011. Concern volunteer Irwin Shorr, from Maryland, in Bangladesh in the early 1970’s. 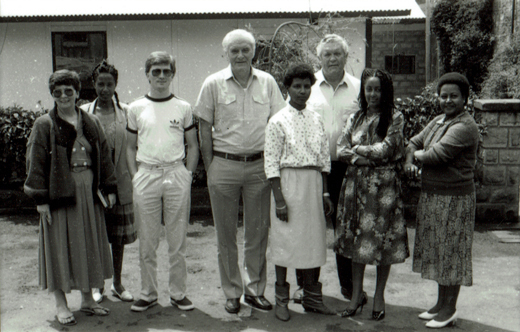 Jack Finucane (center) in Ethiopia, 1989. 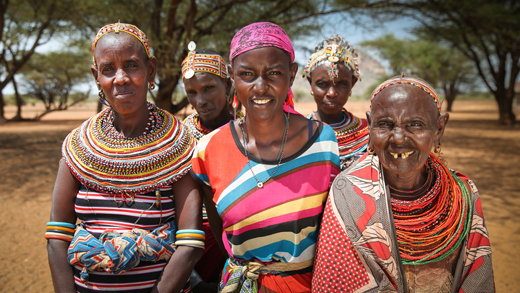 Nalois Lepile (center) of Nairibi village in Marsabit County, Kenya, with some of the women who have been part of the community conversations project, which has resulted in improved infrastructure and services for his locality. 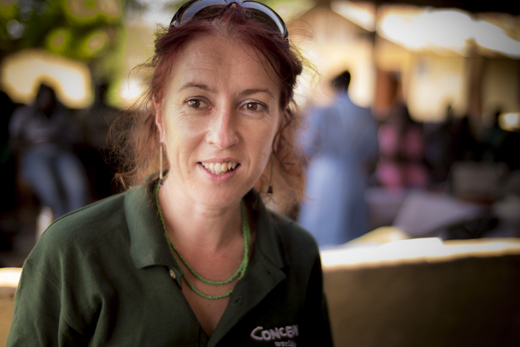 Laura Hastings, from Westport in County Mayo, who worked on Concern’s response to the Ebola crisis in Sierra Leone. 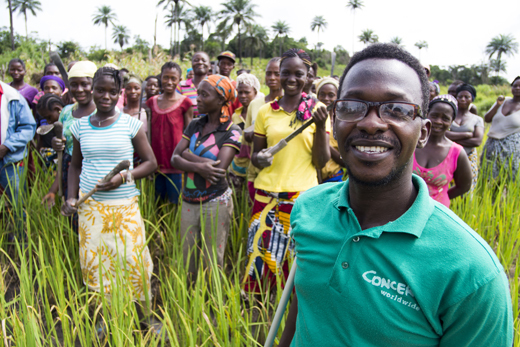 Concern workers in Liberia in 2015. 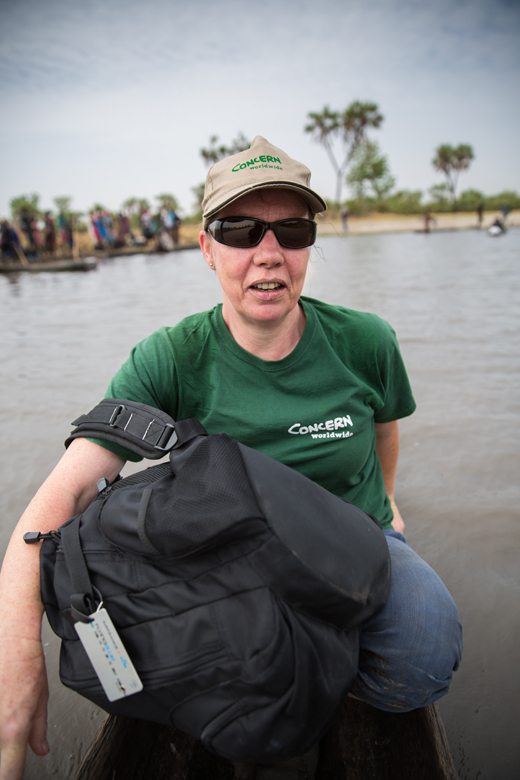 Concern emergency response team member Nellie Kingston from Clonakilty, traveling through the swamps of Unity State, South Sudan by dugout canoe. Concern logistician Graham Woodcock supervises the transfer of Irish Aid emergency relief supplies at Tribhuvan International Airport, Kathmandu, Nepal. The consignment is bound for Sindhuli district, where Concern is putting an emergency water and sanitation plan into action. Rhambutel (70) at a distribution by Concern Worldwide of emergency shelter and relief supplies at the village of Bhirkot in Dolakha district. Many houses in the area were damaged in the April 25, 2015, earthquake, but then subsequently destroyed in the tremor of May 12. 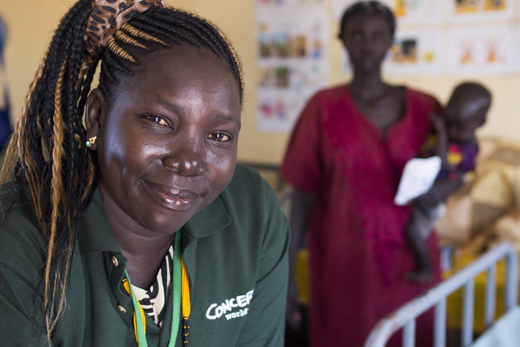 Nutrition assistant Poni Jane Charles with 30-year-old Amir Bol and her one-year-old daughter Rezek Thiep at the stabilization center in Nyamlel, South Sudan, which is supported and staffed by Concern Worldwide. 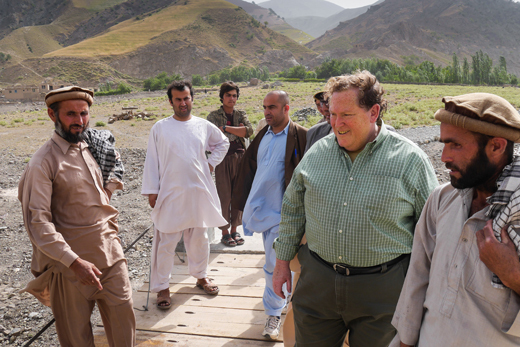 Longtime Concern supporter and former chairman of Concern U.S. Tom Moran visits a bridge reconstruction project in Northern Afghanistan. 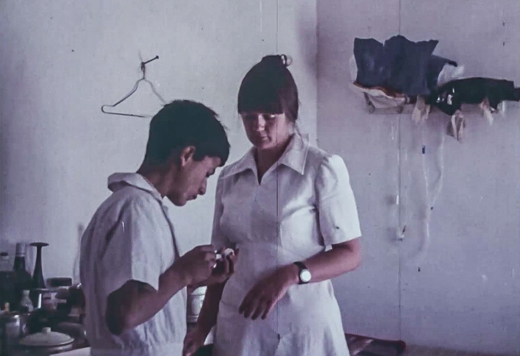 Elizabeth Lane, a volunteer nurse with Concern, in Yemen in 1977. Ed Kenney Jr. joined Concern Worldwide U.S. in 2007 after a 10-year career in private sector communications. He previously produced documentary and entertainment programs for public television and joined the organization to help expand coverage of its work in the field. He also spent much of 2010-11 as a logistics coordinator in the Haiti earthquake response and in Malawi. Currently, he serves as vice president of communications in New York. Kieran McConville is a photographer, filmmaker, and writer working for Concern Worldwide in New York. Originally from Limerick, he travels extensively to document the organization’s emergency response and development work in 26 countries in Africa, Asia, the Middle East, and the Caribbean. He previously spent two decades covering international and domestic affairs and human interest stories, primarily for RTÉ.